Home Accessories Get your company on Dragon’s Den!! Get your company on Dragon’s Den!! Fancy yourself as the next Pitpatpet ? Then sign up now for the next series of Dragons Den. 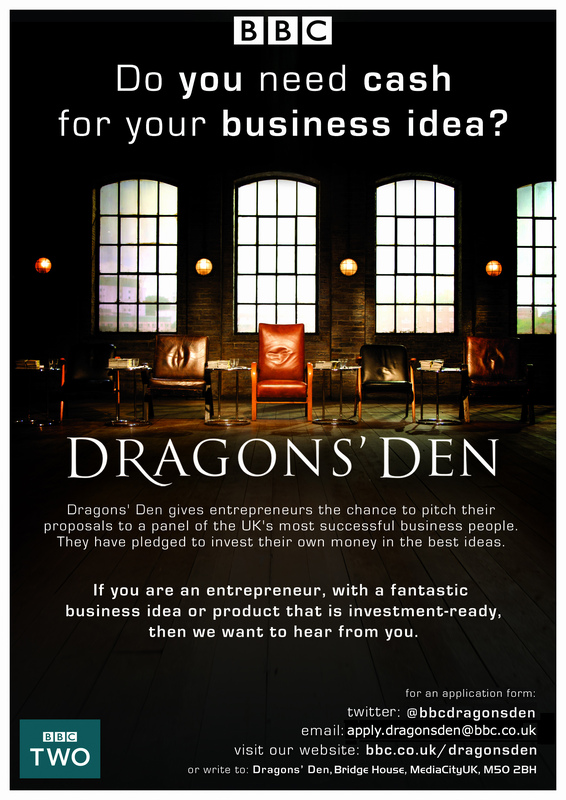 Dragons’ Den is a challenging place to pitch, but it’s also a genuine business opportunity to secure investment. In the last series there were 24 entrepreneurs who accepted offers of investment in the Den and a combined total of over £1.5 million invested by the Dragons. With plenty more achieving success after taking on board the Dragons’ advice.